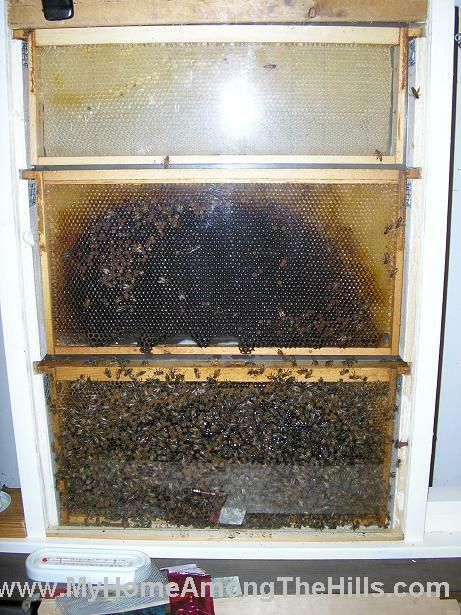 I set up this observation hive in my garage (my wife wouldn’t hear of keeping it in the house). It worked out pretty well since the garage was basically my workshop…we rarely parked cars there. Anyhow, I added a new NWC queen and a few frames of russian brood and I was in business. It looks pretty sparse and it was at first but it pretty quickly took off and did ok. On hot days, the bees would congolomerate around the door. 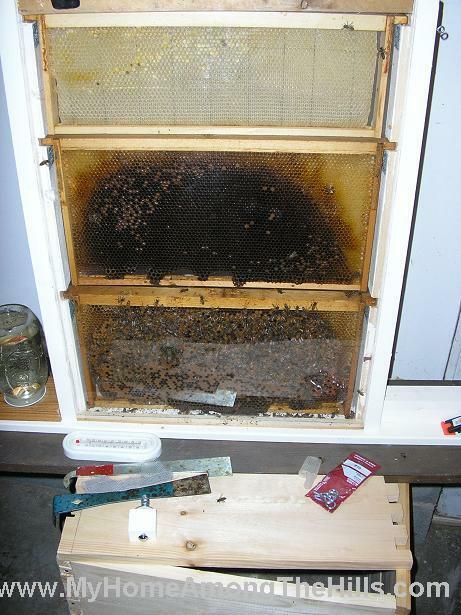 I am not sure exacly why that happened as I always kept a thermometer near the hive to watch the temp. 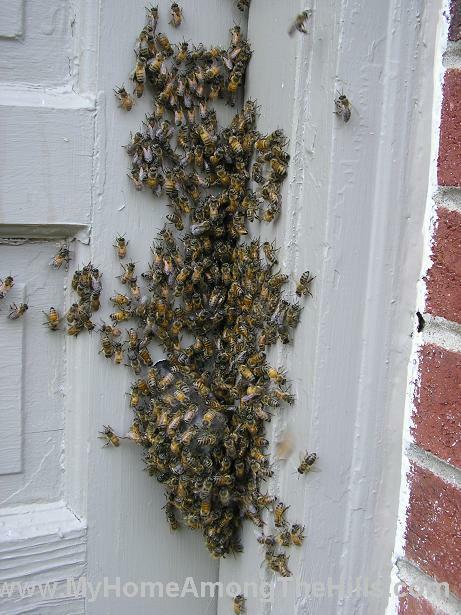 I suppose it must have gotten hot in the hive from their own heat they made. It would have been difficult to manage the heat with only one entry point. Anyhow, they never seemed to care too much and did fine. I’ve been dropping hints for an observation hive. First I want a new TBH with window. (built last one with old fence boards..we think they may have been treated so will scrape that one.) and then I want one like yours. I loved when I had mine. 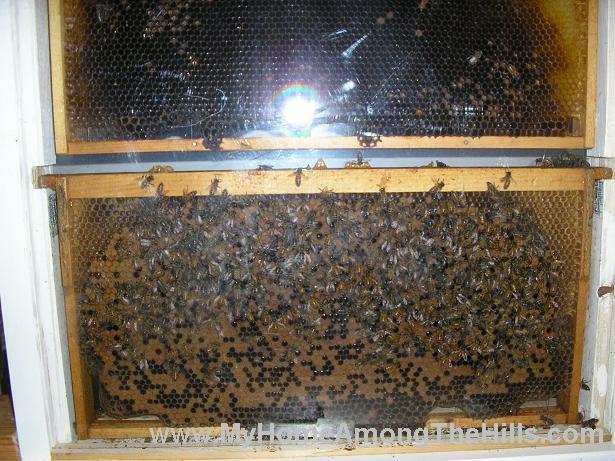 It was the absolute best way for me to see how the queen lays eggs, how they waggle dance, etc. Def do it even if for only a few weeks! I’m wondering if 2.5 years later you have any insights? How long did you have this going and would you recommend it? Does it take much work?